David Abrey is the Principal of Harper Finch Lawyers. 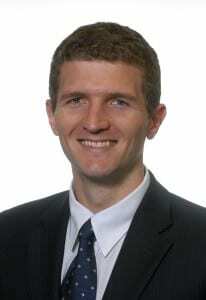 He appears in all courts throughout Queensland and is also admitted as a solicitor in the High Court of Australia. David’s passion for traffic and criminal law began early in his career when he was working in a boutique Brisbane firm. At the time, he was handling the firm’s traffic and criminal law division and representing hundreds of clients each year. Realising that he had his own unique skills that could benefit his clients, he realised that he would need to open his own law firm so that he could provide his own unique style of representation. Soon afterwards, Harper Finch Lawyers was born. David is a firm believer in the importance of education. He has many university-based qualifications including a Bachelor of Information Technology, Masters in Law and Masters in Business Administration and he continues to educate himself so that the services he provides are exceptional.